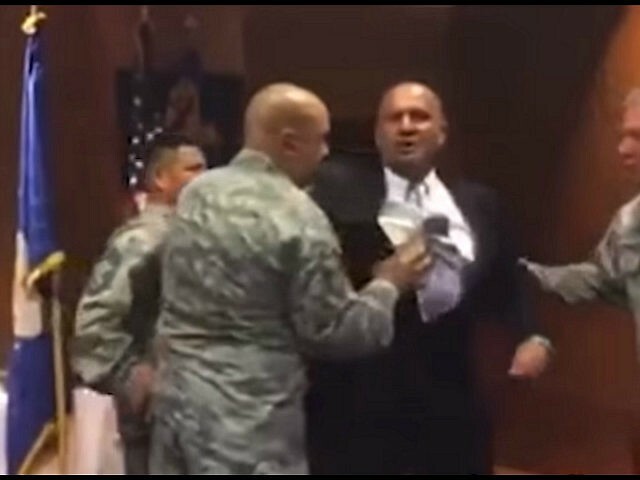 (Faith & Freedom) When retired veteran Senior Master Sergeant Oscar Rodriquez started offering traditional remarks at a military flag folding ceremony, several uniformed airmen assaulted him, dragging him out of the room because his remarks mentioned God. (Faith & Freedom) To say Chick-fil-A has been maligned by the national LGBT community would be a gross understatement. Christian Apologist Ravi Zacharias: Why Do Some Treat Race as Sacred But Not Sexuality? Shall We Hand Over Our Kids? (LifeNews) Congresswoman Marsha Blackburn has taken a lot of heat for leading the investigation of the abortion industry and the trafficking of aborted baby body parts. What Are Atheists so Afraid of? (OneNewsNow) A prayer breakfast at Fort Riley, scheduled for the 72nd anniversary of D-Day next week, was expected to include Jerry Boykin, a retired U.S. Army lieutenant general most famous as an early commander of the elite Delta Force. (Faith & Freedom) The gorilla and the child dominated world news yesterday. (CNSNews) You may be able to name a number of famous Christians who changed the world. But Dr. Glenn Sunshine wants you to know the world-changers you may never have heard of.